It was 2008. George Bush was president, banks were being bailed out, the Xbox 360 was the dominate console despite a red ringed crisis, and co-op gaming was getting a resurgence thanks to the mainstream adoption of online services like Xbox Live. The same year we launched Co-Optimus, an idea I had while struggling to find co-op games to play with my best friend who lived a handful of states away. A lot happens in 10 years, and the industry has definitely changed. But Co-Optimus is still here to bring you dedicated information about co-op games so you can enjoy a session with your family and friends. To put it in perspective how far we’ve come, here are some numbers. Our most popular co-op game of all time is Diablo 3 with Call of Duty: Black Ops 3 and Dying Light running a closed 2nd and 3rd. Our most popular article is our Call of Duty: Black Ops 3 Co-Op FAQ, with our Dead Island FAQ and Dark Souls How To Access DLC 2nd and 3rd. I’m absolutely humbled by the community and reach Co-Optimus has achieved. There have been so many great moments throughout this site for me. 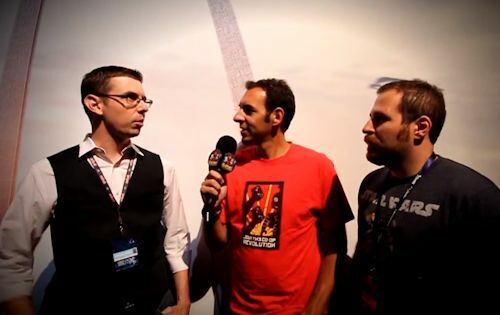 I was always thankful for getting to attend shows like E3 and PAX - and share that experience with the Co-Optimus staff. But it was the people and friends I made in the industry I cherish the most. I met so many like minded folks from other sites, podcasts, and forums. Every event I attended I was equally as excited about the video games as I was about seeing my friends. As my life has gotten busier and I’ve stepped away from most of the site duties, it’s the friendships I miss the most. There really have been so many highlights it’s hard to narrow it down to one thing I’m most proud of. I absolutely loved our Xbox Co-Op nights, being one of the first communities featured on the Xbox Dashboard. It was amazing to be featured as part of a video game, and the site helped me springboard my own co-op game. 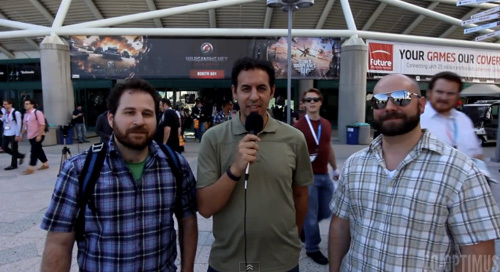 E3 2012 was perhaps the pinnacle for the site as we hit the show with a full video crew and interviewed so many great developers, a personal highlight was our Randy Pitchford interview. Perhaps my favorite moment was talking to a developer at PAX and him telling me the story of how the entire team utilized the information on Co-Optimus to become inspired and build a dedicated co-op mode in AAA franchise. That was a humbling moment. Of course Co-Optimus wouldn’t be where it was if it wasn’t for the awesome staff over the years. At first everyone was just a volunteer, pouring their heart and soul into researching co-op games and spreading the word. Eventually the site did well enough that I was able to send people games for free and not long after we actually had our first paid position. I have to give an extra special thanks to Andrew Gaskill who helped carry the torch from 2011-2013 and Jason Love who’s currently running the site since 2016. Of course we have some OG’s too. Mike Katsufrakis helped build the site with me back in 2008 - doing all the web design and graphics work as well as providing input on direction. Over the years Mike has poured hours upon hours into redesigns and site skins as well as being a dedicated co-host on the Co-Opticast for a number of years. Marc Allie joined the site right after launch and while he doesn’t write much anymore, he’s contributed to some of our most interesting content like Co-Op Classics and has gone on two write several books! To celebrate our 10 years, we've started something new. Utilizing Discord we're hoping to bring even more co-op gamers together. “I was the original family man on the staff, and so most of my favorite articles deal with playing with my kids. I'm very proud of the Co-Op Classics series, I think we covered most of the major co-op titles from the older generations. The videos, in particular, were fun to put together, though I'm just an amateur. “It's hard to imagine that we've been at this for ten years. Nick and I met though another site we were both regulars at. We had been working together for a while when he asked me if I was interested in helping him build something new, and as it turns out I am also incredibly passionate about co-op gaming. Fast forward several months and my life had changed significantly - I had just returned from my honeymoon and on January 28th, 2008, we gave Co-Optimus to the world. I had flirted with covering the games industry at a few outlets prior to Co-Optimus, but this was my first opportunity that stuck. 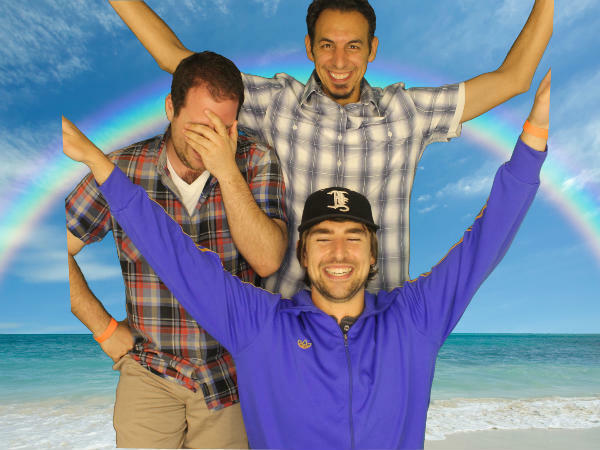 While I mostly work on features, streams and developing future iterations of the site these days, I would say that my favorite memories are from doing our old podcast, The Co-Opticast. While I don't think we ever really got audience or participation I wanted, I always had a good time doing it, and I'd love to take another stab at podcasting in the future. 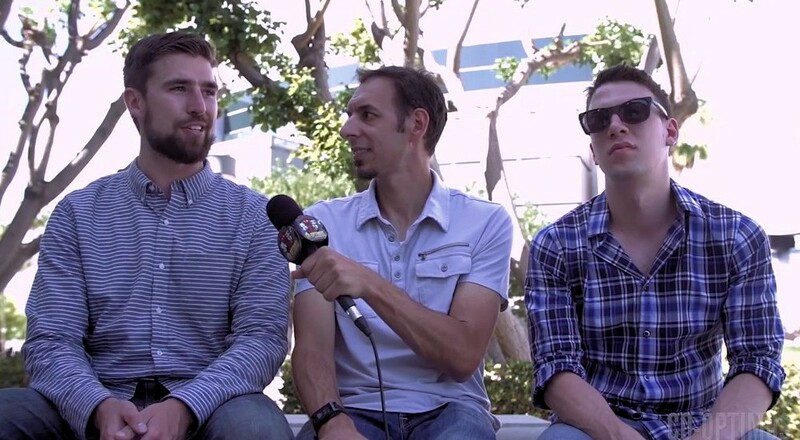 Covering events like various PAXes and E3 as Media was always a good time, despite the incredible amount of work it took to pull off. Nowadays, it's simply easier for us to react to the livestreamed press conferences rather than travel to LA for ourselves, but I'm incredibly grateful for the opportunity to attend. “My favorite part about working at Co-Optimus has been all the awesome people I've had the chance to meet. Talking to developers about their games is always an amazing experience because I get to see the games through their eyes and see all the things that makes theor games unique and special. As great as that is, though, the Co-Optimus staff are the people I want to talk about today. 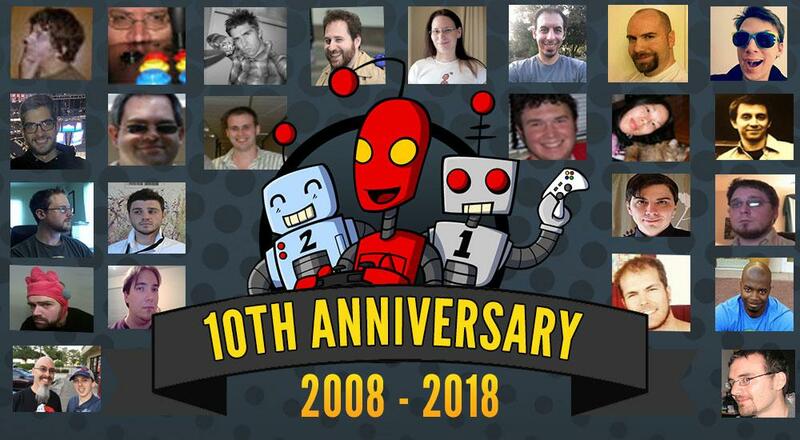 “I have many fond memories with Co-Optimus including hosting my first co-op night that was featured on Xbox Live, playing GRAW2 with a team of experts from the forums, streaming the first episode of F.A.L.C.O. with very little experience, and countless nights playing Halo 3 ODST Firefight, Gears of War 2 Horde Mode, Monaco, or Dungeon Defenders. 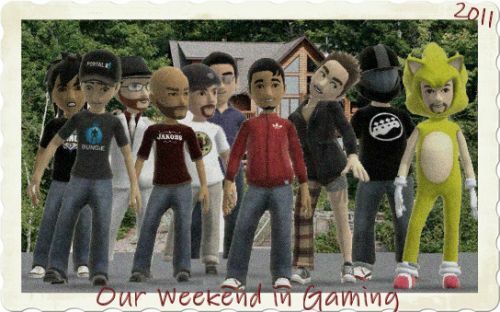 Those memories are also flanked with not so good memories, like the day the forums died, or when one of our most outspoken community members passed (RIP Macro), and, most recently, when my friend Baldy's house was overtaken by the floods following Hurricane Harvey. 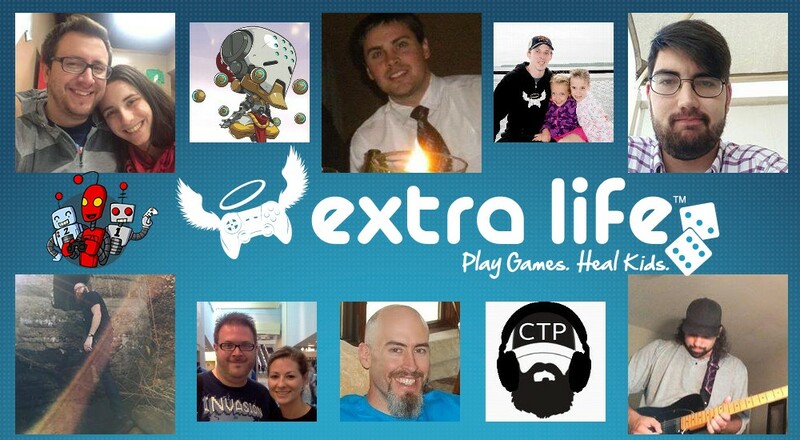 “Some of my favorite memories of Co-Optimus were the Extra Life events I've participated in with Eric. I don't think I'll ever try to attempt anything longer than 24 hours straight of gaming ever again. Also, I really enjoyed my opportunity with Nick to meet with Xbox and Nintendo representatives to look at upcoming game titles. It was my first time interviewing people connected to the companies I've always dreamed of working for as a kid, so the experience was sort of surreal for me. “I was always captivated by everything E3 had to offer; the press conferences, new game announcements, interviews with industry icons, and show floor booths so mammoth in size they rivaled an amusement park left me in near delirium as I watched it all unfold from my laptop across the country. For the first time ever, I finally went in person while working at Co-Optimus. "The hype is real, Nick! It's real!" It was a week of interviews with developers, hands-on with unreleased titles, terrible convention food, and oh so many selfies. Finally sitting in the audience at the press briefings where the biggest headlines are born was an exhilarating experience, and one I look forward to every year I return. That E3 kicked off a lot for me. A few months later I landed my first role on the inside of the industry. Sadly, that meant I had to leave the Co-Optimus crew, but it was a lot easier when I realized Justin Reynolds never worked at Co-Optimus at all. It was always Justin Ross. One year later, 1Up.com, my favorite gaming website at the time, was effectively shuttered. It was, to put it mildly, a bummer. I spent my time during the day listening to old podcasts and my evenings using some Windows video editing software and whatever other free editing software I could get in order to put together a tribute video. Somewhere in the middle of all that, I realized that the thing I wanted to do was write about video games. I didn’t know where or how to do that, but I at least had a goal in mind. Fast forward to September 2009 and I’m attending my first PAX. Mike was there and while we were catching up, he introduced me to Nick. 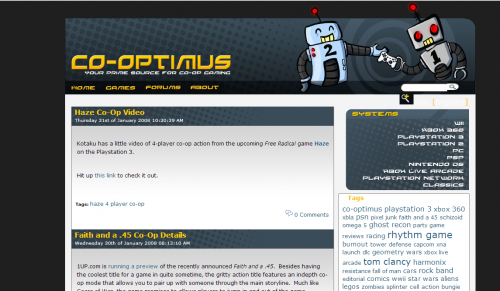 I mentioned my interest in writing, we spoke a bit more about it, and next thing I knew, I was writing for Co-Optimus! One of my fondest memories of Co-Optimus is my induction into it. After emailing about it, Nick and I continued discussing my joining the site while playing Earth Defense Force: Insect Armageddon. Not a good game (especially compared to the rest of the series), but it was such a cool way to get to know my new boss and show him my co-op bonafides. If Co-Optimus helped you find a co-op game or you have a memory you'd like to share, feel free to post it below! Page created in 0.8176 seconds.